Dr. Ghaffar-Kucher began her graduate studies in the field of School Psychology, earning a Professional Diploma in School Psychology and a Masters in the Psychology of Bilingual Students from Fordham University’s Graduate School of Education (New York). As a school psychologist resident, she worked with struggling Indian immigrant students at a public high school in Rockland County, New York. She further developed her interest in immigrant youth during her studies at Teachers College, Columbia University, where she pursued a doctorate in International Educational Development with a concentration in Curriculum and Pedagogy. At Teachers College, she served as the ethnographer for the Muslim Youth in New York City Project (funded by the Ford Foundation) and was also part of the research team for the African Muslim Immigrants Literacy Initiative (AMILI). She was also a member of the editorial board of Current Issues in Comparative Education for three years. Dr. Ghaffar-Kucher's work has received national recognition: She was a finalist for the Council on Anthropology and Education's 2008 Outstanding Dissertation Award. In 2010, she was awarded the Council on Anthropology and Education’s Presidential Early Career Fellowship. Most recently, she was awarded (with Lesley Bartlett) the 2014 Jackie Kirk Outstanding Book Award from the Comparative and International Education Society (CIES) for her co-edited volume, Refugees, Immigrants and Education in the Global South: Lives in Motion (Routledge Research). Dr. Ghaffar-Kucher has developed and taught courses at Drexel University and Teachers College, Columbia University. In 2017, she was elected to the Board of Directors of the Comparative and International Educational Society (CIES). She was also invited to the board of the Pennsylvania Council of International Education (PACIE). Dr. Ghaffar-Kucher's research spans several countries. Within the United States, her research focuses on the educational and socialization experiences of immigrant and refugee youth. 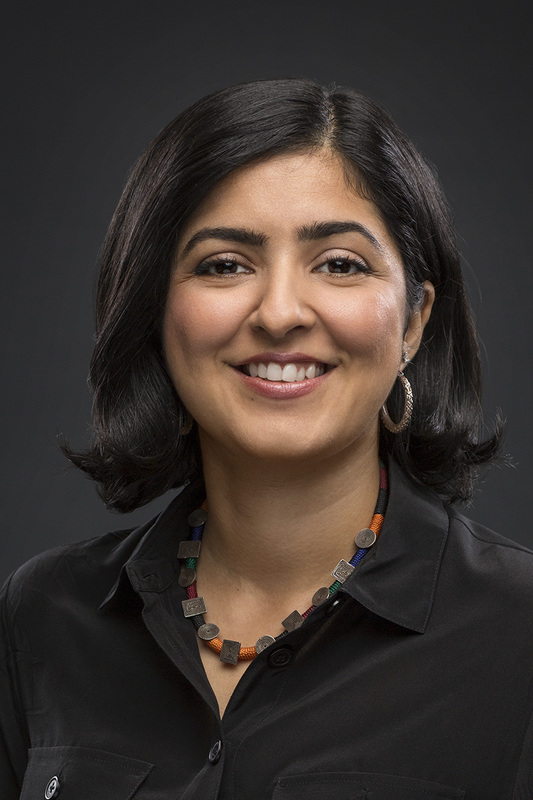 She has worked with a variety of immigrant and refugee youth, including working- and lower-middle-class Pakistani-immigrant youth in New York City, with whom she explore how gender-based expectations, class differences, and age on arrival influence youths’ notions of citizenship and belonging. Along with two colleagues from Teachers College, Columbia University, she completed an anti-bullying resource pack for educators that targets the bullying of South-Asian American youth "In the Face of Xenophobia: Lessons to Address Bullying of South-Asian Youth". In a more recent study, she examined how schools in NYC were supporting refugee youth. She was also a co-investigator for the SSRC's "Our Shared Past" Grant in which she worked with scholars from six different universities on a curriculum project titled "Rethinking the Region: New Approaches to 9-12 US Curriculum on the "Modern Middle East." Currently, she is an advisory board member MTV's Look Different Campaign, which aims to give youth tools to be able to discuss and respond to (hidden) biases in society. Dr. Ghaffar-Kucher’s other areas of research pertain to issues of educational access, equity and quality, particularly in the context of Pakistan, as well other Muslim majority countries more broadly. Within these contexts, she is especially interested in understanding how educational policies are appropriated at the local level, specifically in terms of policies relating to curriculum and pedagogy. Relatedly, her practitioner work has focused on teachers' professional development. She has worked on "USAID's Pre-STEP project" in Pakistan, which seeks to overhaul pre-service teacher education throughout the country. Her latest project (with Thea Abu el-Haj) examines the civic engagment of youth from Muslim immigrant communities in the US and is sponsored by the Spencer Foundation. B.S. (Psychology, International Management Studies) University of Maryland at Schwäbisch Gmünd, Germany, 1999. M.S.Ed. (Psychology of Bilingual Students) Fordham University, 2003. P.D. (School Psychology) Fordham University, 2003. Ed.D. (International Educational Development) Teachers College, Columbia University, 2008. Ghaffar-Kucher, A. (2018). Uncertain Prospects and Ambiguous Futures: The Challenges & Opportunities of Educating The Forcibly Displaced. Paper commissioned for the 2019 Global Education Monitoring Report, Migration, displacement and education: Building bridges, not walls, UNESCO (Paris). Ghaffar-Kucher, A. & Abu El-Haj, T. (2018). Exit East? The fight against US anti-Muslim racism. [Dialogue]. The Assembly: A Journal for Public Scholarship on Education. Issue 1. University of Colorado at Boulder. Ghaffar-Kucher, A. (2018). Learning and Assessment at the (Heterogeneous) Bottom of the Pyramid. In Dan Wagner, Bob Boruch, & Sharon Wolf (Eds). Learning at the Bottom of the Pyramid. UNESCO-IIEP. Ghaffar-Kucher, A. (2017). Love & Labor in Academia: Dear Faculty Members Who Mentor Doctoral Students of Color. In Michelle Harris; Sherrill L. Sellers; Orly Clerge & Frederick W. Gooding Jr. (Eds). Stories from the Front of the Room. How Higher Education Faculty of Color Overcome Challenges and Thrive in the Academy. Rowman & Littlefield. Bajaj, M., Ghaffar-Kucher, A., & Desai, K. (2016). Brown Bodies and Xenophobic Bullying in U.S. Schools: Critical Analysis and Strategies for Action. Harvard Educational Review. Winter 2016, Vol. 86(4), pp. 481-505. Mendenhall, M., Bartlett, L., & Ghaffar-Kucher, A. (2016). ‘‘If You Need Help, They are Always There for us’’: Education for Refugees in an International High School in NYC. Urban Review. DOI 10.1007/s11256-016-0379-4. Hantzopoulos, M., Zakharia, Z., Shirazi, R., Ghaffar-Kucher, A., & Bajaj, M. (2015). Rethinking the region: New approaches to social studies curriculum on MENA. Social Studies Research and Practice. Ghaffar-Kucher, A. (2015). “Narrow-minded and oppressive" or a “superior culture”? Implications of Divergent Representations of Islam for Pakistani-American Youth. Race Ethnicity and Education. Ghaffar-Kucher, A. (2014). Writing culture; inscribing lives. A reflective treatise on the burden of representation in native research. International Journal of Qualitative Studies in Education. Ghaffar-Kucher, A. (2014). "Assimilation". In D. C. Phillips (Ed). Encyclopedia of Educational Theory and Philosophy. Sage. Bartlett, L. & Ghaffar-Kucher, A. (2013). Introduction. In L. Bartlett & A. Ghaffar-Kucher, (eds.). Refugees, Immigrants, and Education in the Global South: Lives in Motion. Routledge Research. Bartlett, L. & Ghaffar-Kucher, A. (Eds.) (2013). Refugees, immigrants, and education in the Global South: Lives in Motion. Routledge Research. Bajaj, M., Ghaffar-Kucher, A. & Desai, K. (2013, April). In the face of Xenophobia: Lessons to address the bullying of South Asian youth. SAALT. South-Asian Americans Leadership Together, Washington DC. Ghaffar-Kucher, A. (2012). The religification of Pakistani-American Youth. American Educational Research Journal, 2012. Ghaffar-Kucher, A. & Mahajan, A. (2012): Salaam! Namaste! : Indian and Pakistani Community Based Efforts Towards Heritage Language Maintenance. In Ofelia Garcia, Zeena Zakharia, & Bahar Otcu (eds.). Multilingualism and community education in New York City. Multilingual Matters. Ghaffar-Kucher, A. (2009). Citizenship and Belonging in an Age of Insecurity: Pakistani Immigrant Youth in New York City. In Frances Vavrus & Lesley Bartlett (Eds.) Critical Approaches to Comparative Education: Vertical Case Studies from Africa, Europe, the Middle East, and the Americas. Palgrave. Ghaffar-Kucher, A. (2006, December). Editorial Introduction: (Re)Framing the Education of Immigrants Current Issues in Comparative Education 9(1). Ghaffar-Kucher, A. (2005). The Effects of Repatriation on Education in Afghan Refugee Camps in Pakistan. In Dana Burde (ed). Education in Emergencies and Post-Conflict Situations: Problems, Responses and Possibilities, Vol.2.